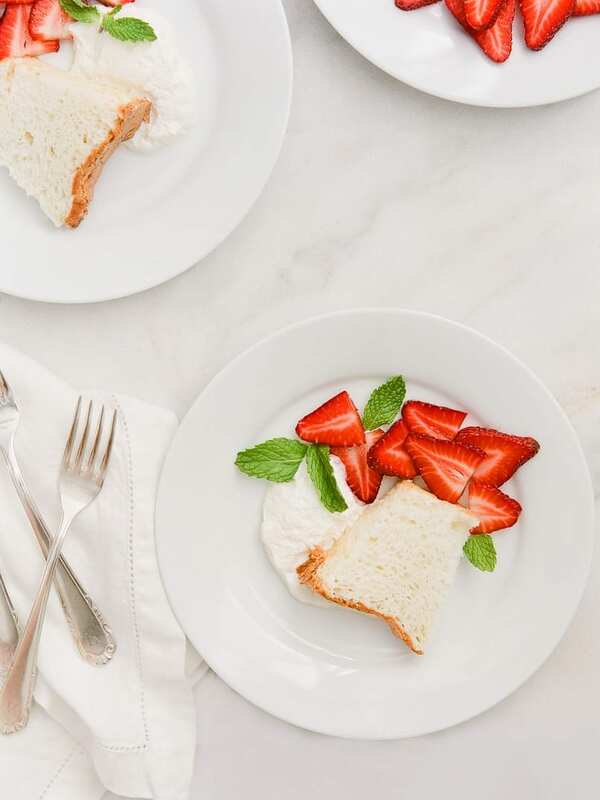 This is such an easy light dessert to throw together for a lunch party or after dinner. You can make an angel food cake but I recommend picking one up at whole foods and making your own whipped cream instead. In a mixing bowl, combine heavy whipping cream and sugar until you reach the desired consistency, add some sliced strawberries and mint and voila! It makes for a beautiful presentation, too.